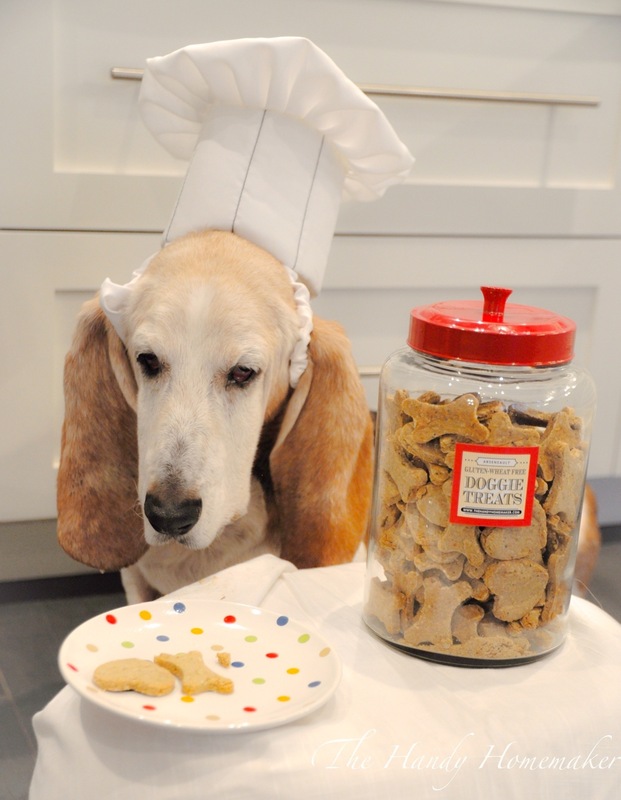 This is my dog friend, sous chef, and taste tester, Morty. It happens to be his birthday too! 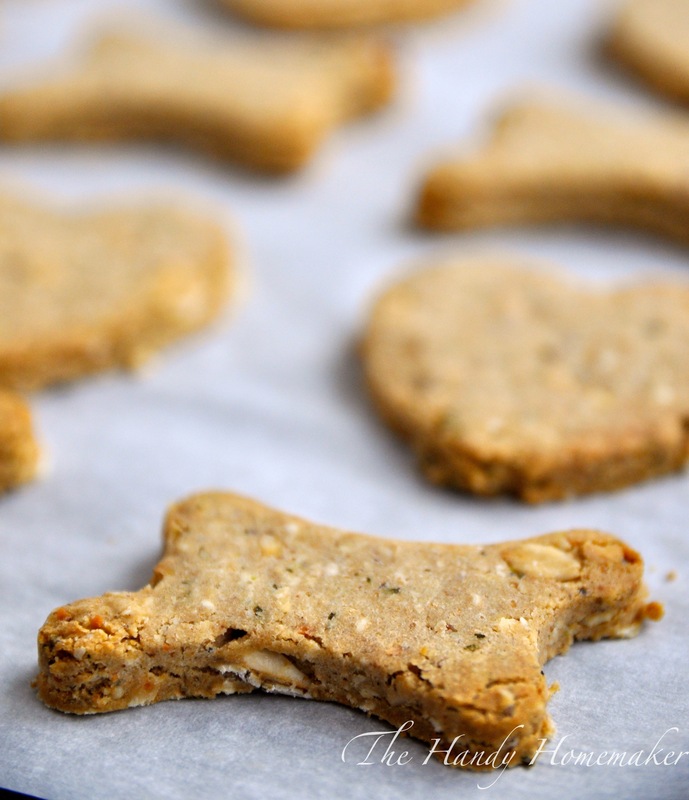 I made these doggy treats with gluten-free flour but you can use regular all purpose flour in this recipe if you prefer. I recently read an article that talked about dogs that were constantly scratching and biting at their skin. 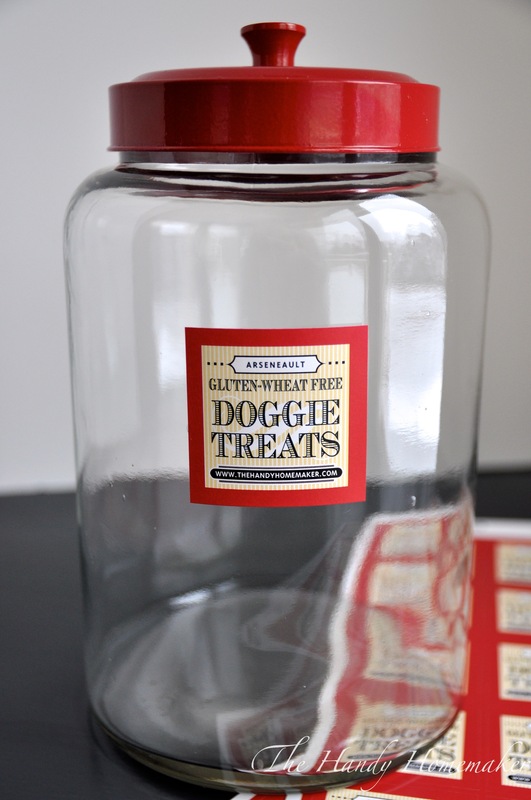 After a series of tests they ended up being allergic to wheat and or gluten. 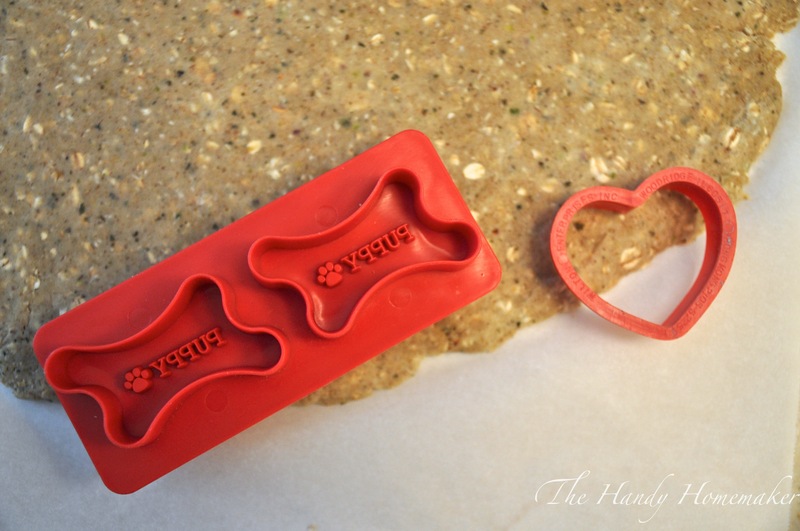 My “doggy nephew” Brock has some skin sensitivities and I’m going to make these for him and see how he makes out. Mo does not have any allergy to gluten or wheat that we know of but he sure didn’t mind that his birthday treats were made with gluten-free flours. 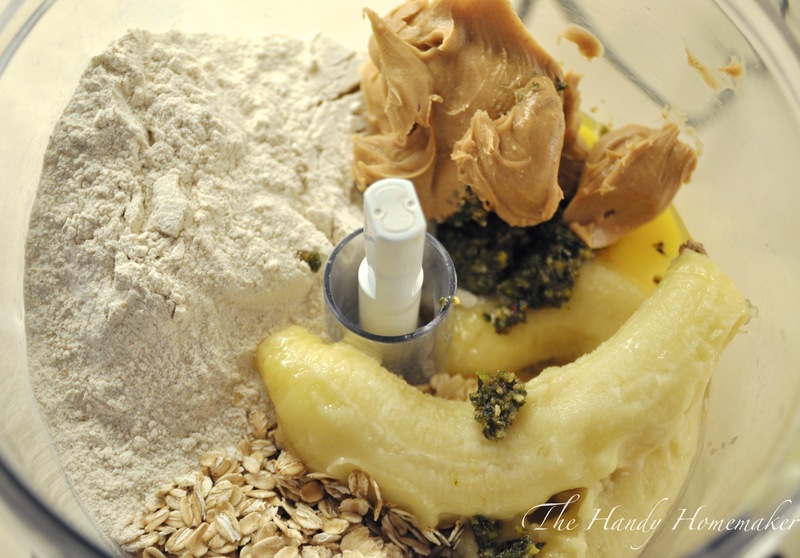 The recipe pictured here contains bananas, however, feel free to substitute with other fruit or vegetable purees. 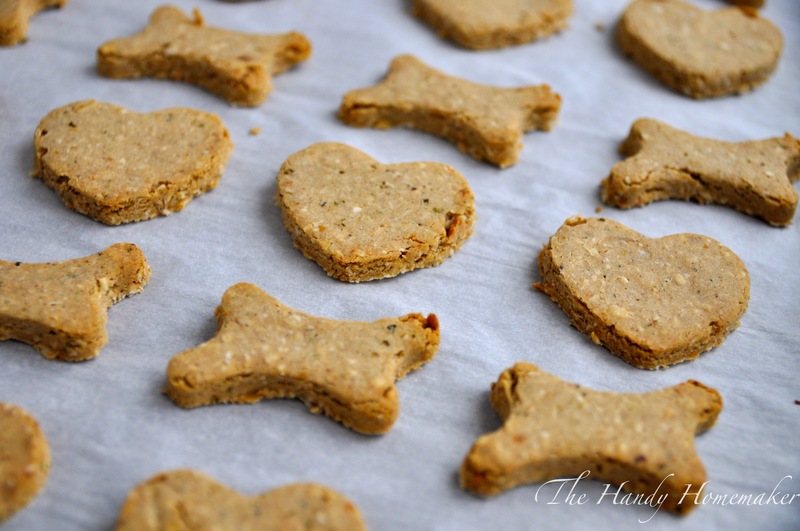 Pumpkin puree works fantastic in this recipe and has some nutritional claims for helping with digestive health and urinary health in dogs. Add half of the water to the eggs and beat. 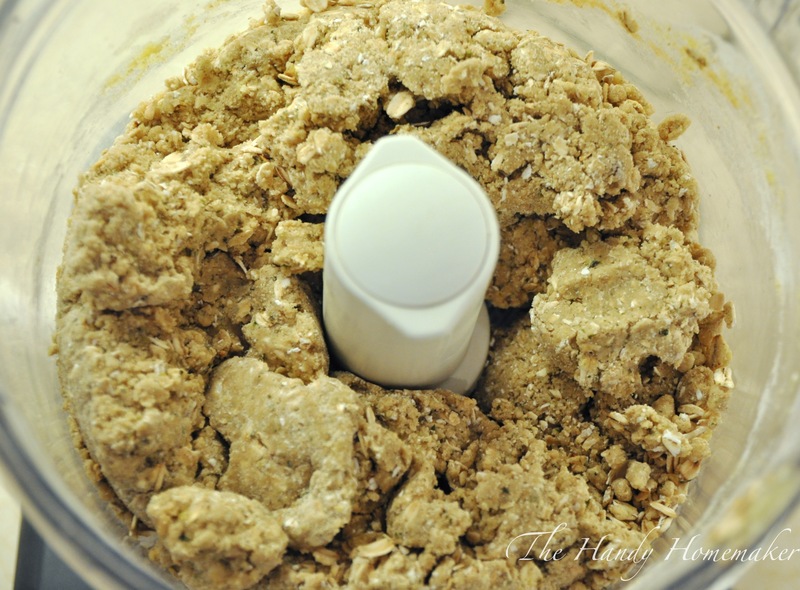 Add all the remaining ingredients to the food processor. Pulse until combined and starting to clump together. 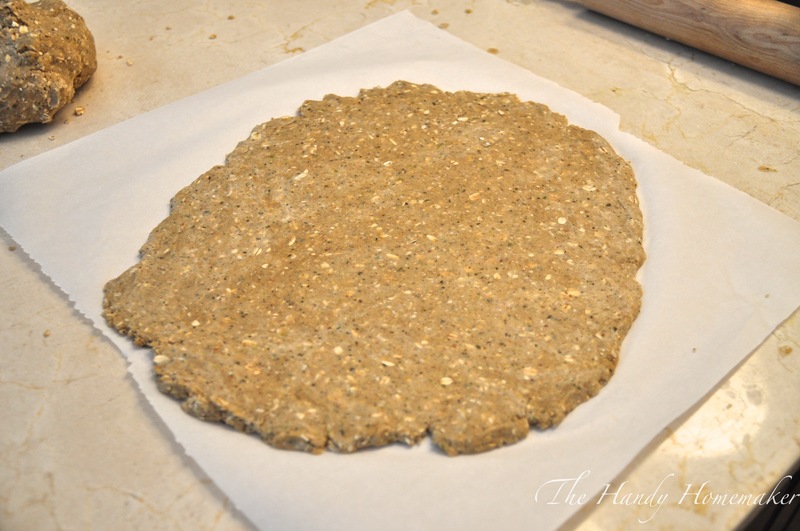 Dump the dough onto a piece of parchment paper. 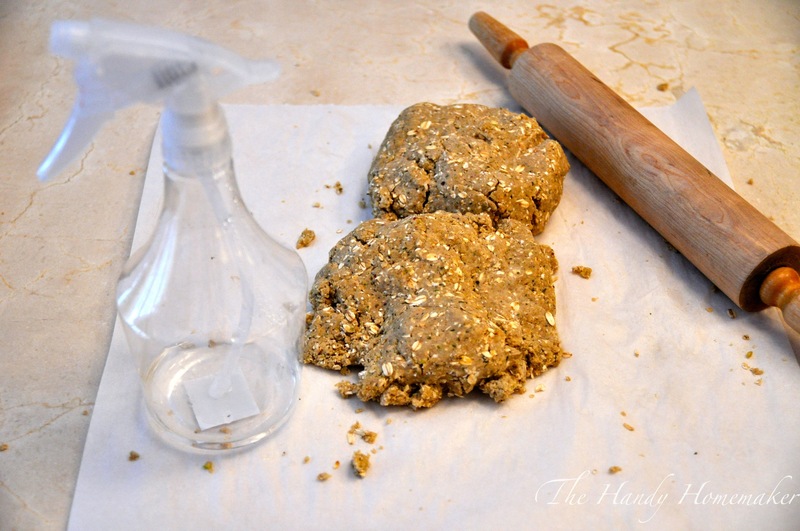 Sprinkle with the remaining water and knead until it is dough like and all clumps together. You may not need all the water. You don’t want the dough to be sticky. Divide into two. I used my water bottle to add a little water at a time to prevent over adding water. 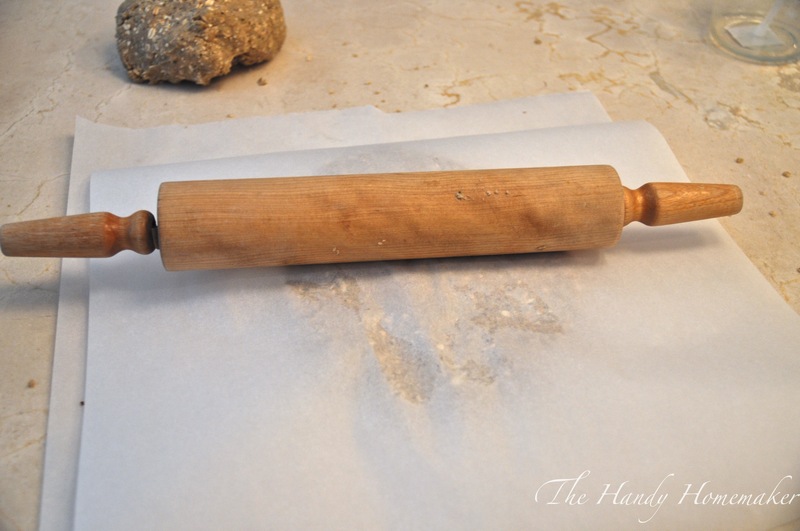 Cover your dough with a second piece of parchment and roll out to desired thickness. Sugar cookie thickness works well. Pie crust thickness is too thin. 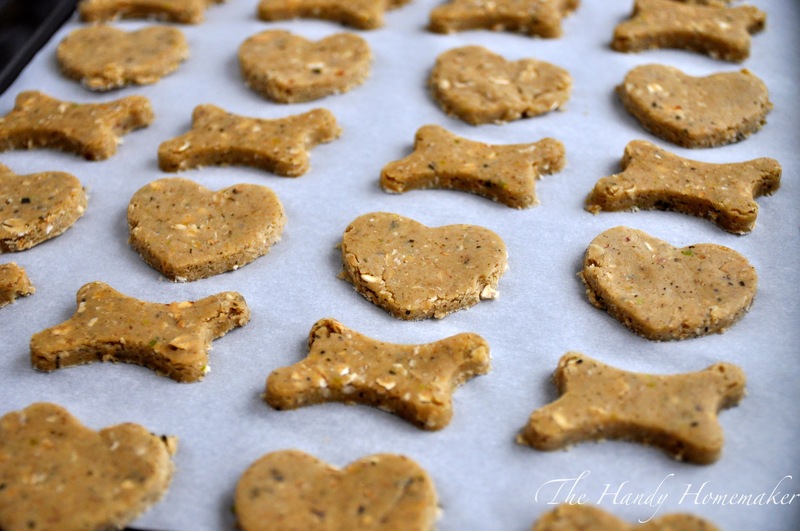 Place on a parchment paper lined baking sheet and place into pre-heated oven for 35 min. Remove from oven and let cool on baking sheet or cooling rack. 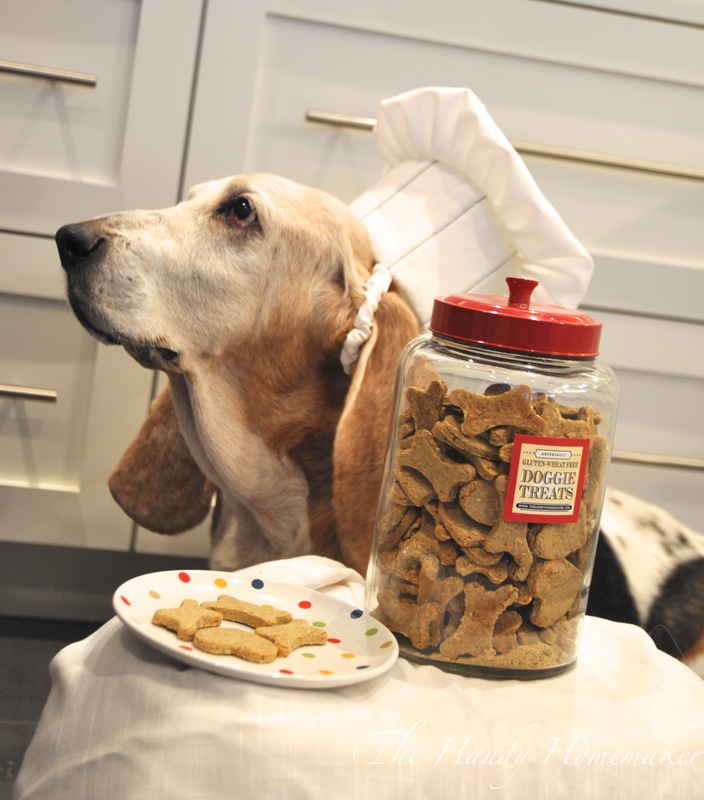 Serve to your favourite four-legged friend. 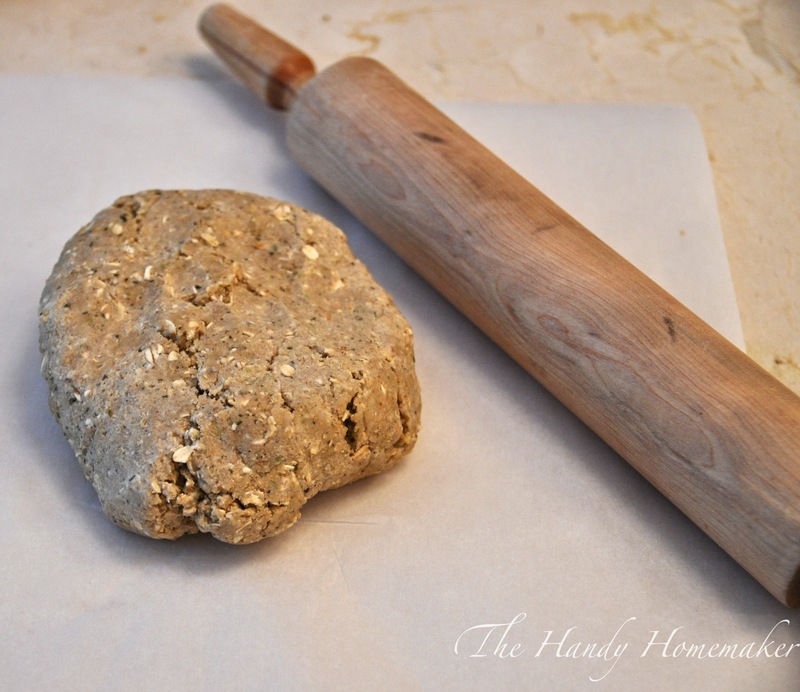 It is important to use only enough water to make the dough bind together, and to make sure they are crisp, cool, and dry once baked. You may want to freeze half of these and unthaw when needed. 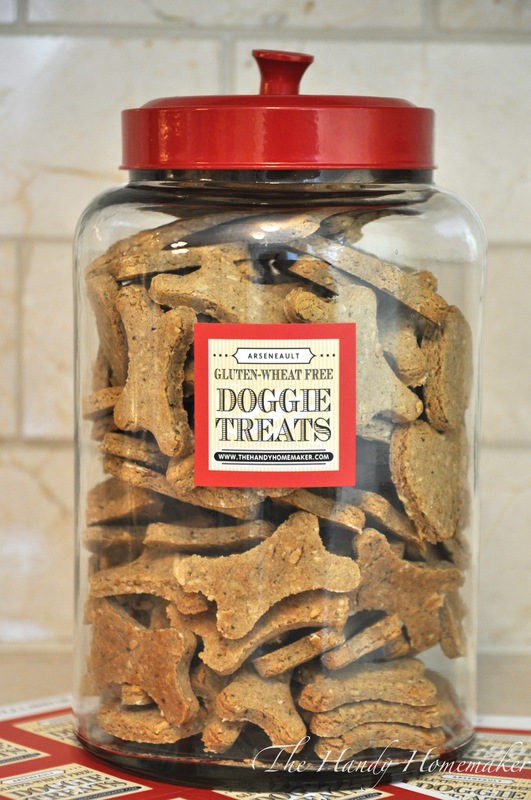 A “guide” for how long they keep would be in a airtight container would be a couple weeks not refrigerated, (not placed in direct sunlight and stored in a cool place), up to two months refrigerated and up to eight months frozen. 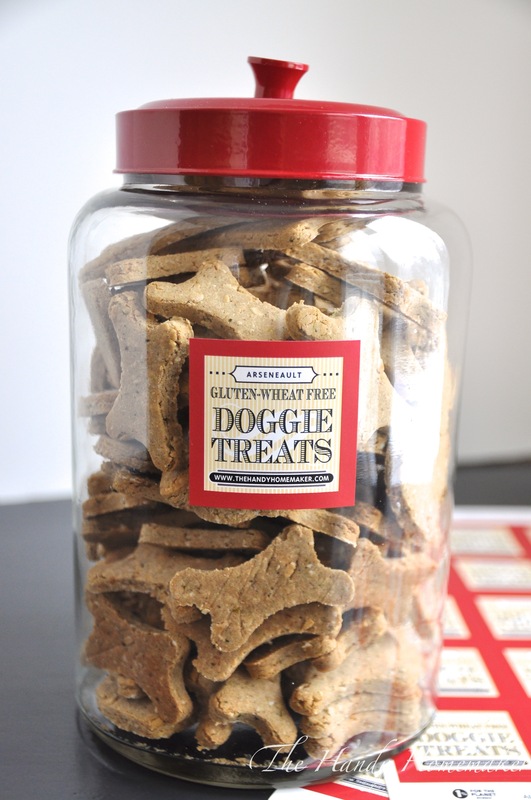 Please remember that these are made with real food and that there are no preservatives that will make them last on the counter for months. 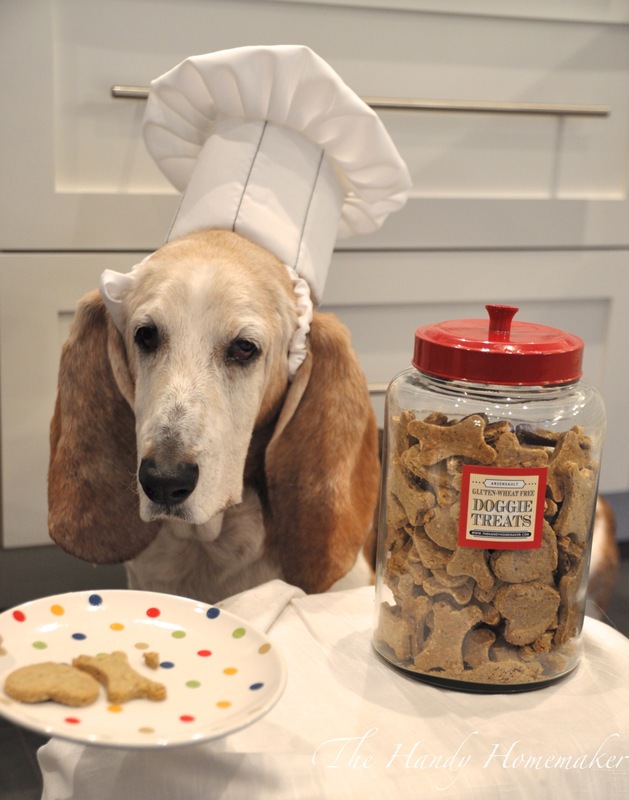 Also before substituting ingredients like herbs and spices, do your research as not all herbs and spices are good for dogs. 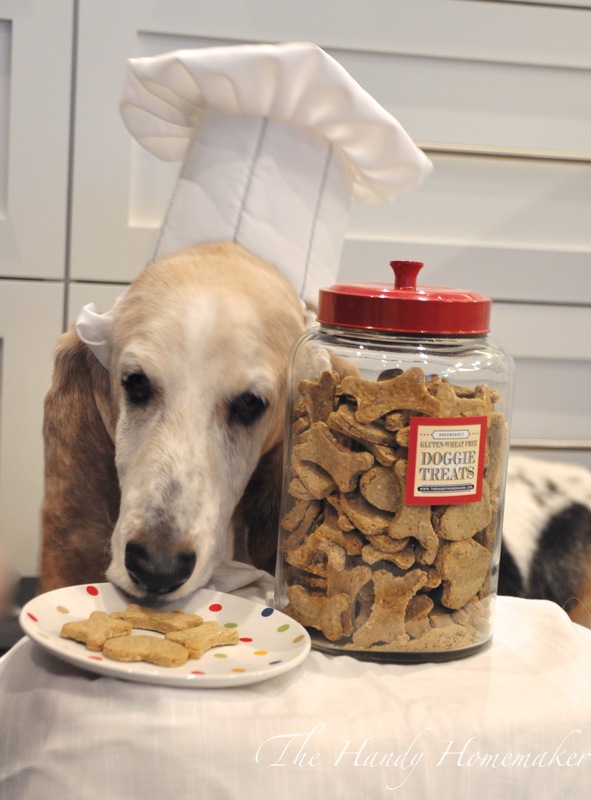 ei: Nutmeg, paprika, cocoa, and mace are not safe for dogs. These labels I purchased at My Own Labels online store when I placed my last order. 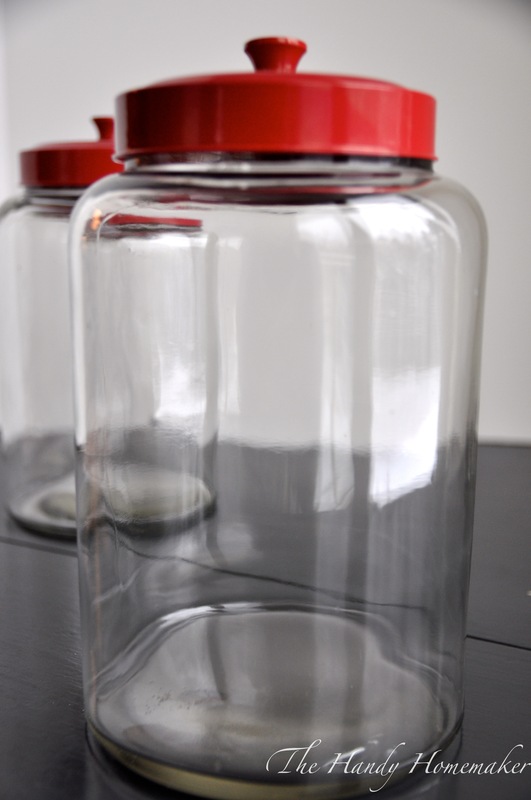 Jars I purchased from Homesense. Love these! 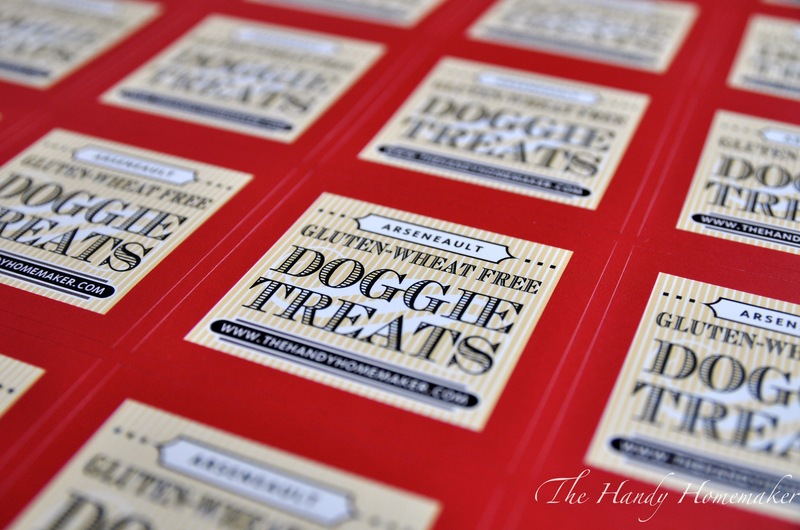 Look how cute they look with the labels! 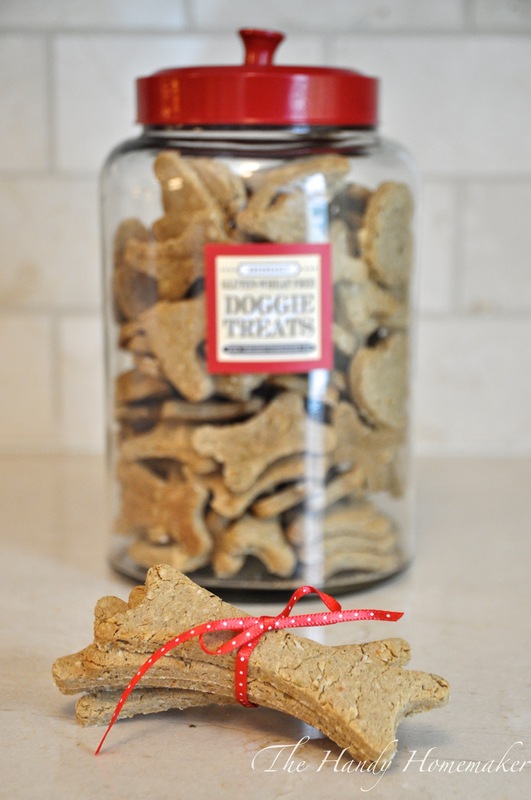 A stack of large bones with a ribbon tied on around them and/or placed in a simple clear bag says I love you and your dog. 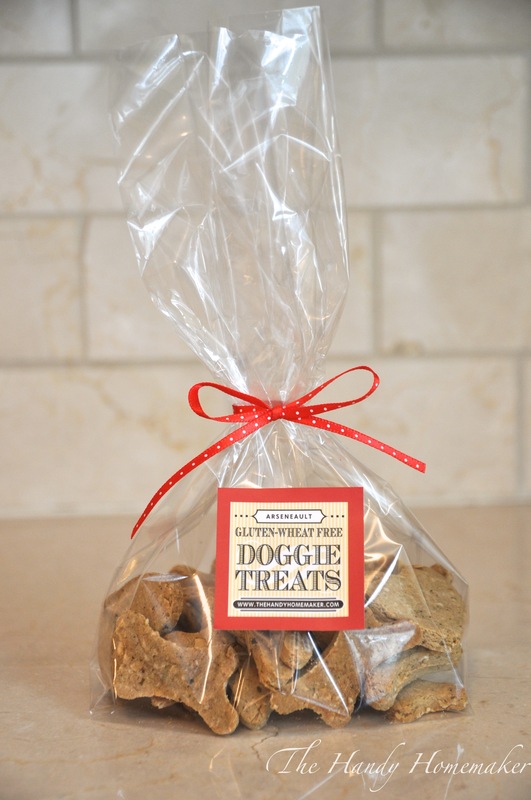 Love the look of gifting dog treats inside these little cupcake boxes I had on hand. Umm.. Excuse me when do I start testing? Seriously, they must be cool by now. Really, you expect me to eat one at a time!? Ok, take the picture and let me dive in. It’s my birthday you know! That is so cute. I know how much Mo would enjoy these. My boy, Tanner would too. I will have to try some. 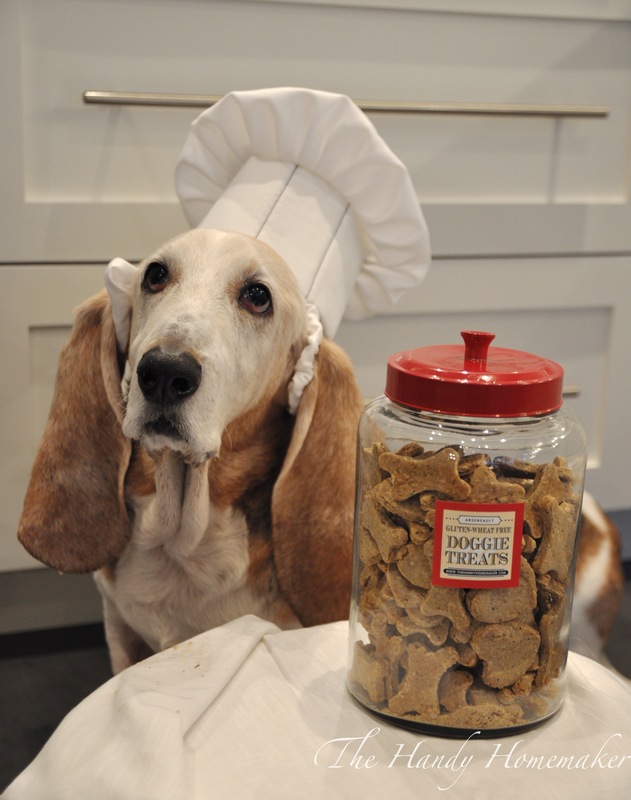 I was also wondering what you use for your gluten free flour blend. 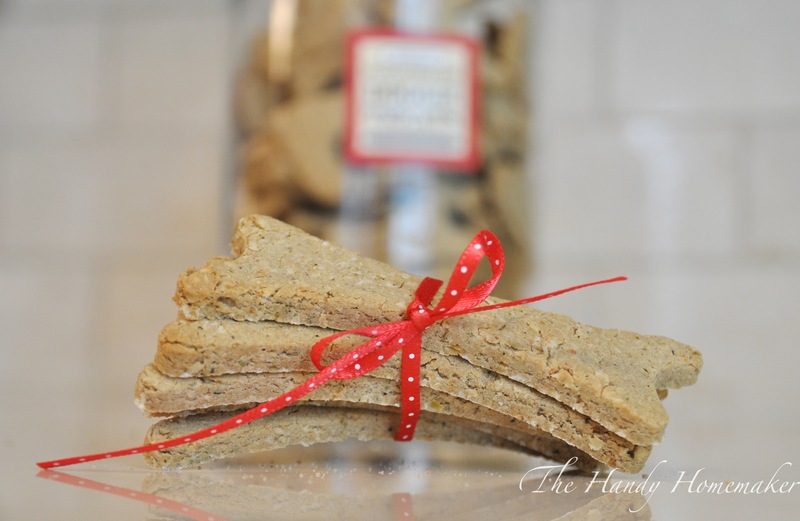 I am always experimenting–still looking for a healthy good bread. I have a couple different blends that I am using Mary. I am still playing with the flours when I come up with a great all purpose gluten free flour I will share. For now, I use the same flour blend that I posted on the gluten free pumpkin whoopie pies. 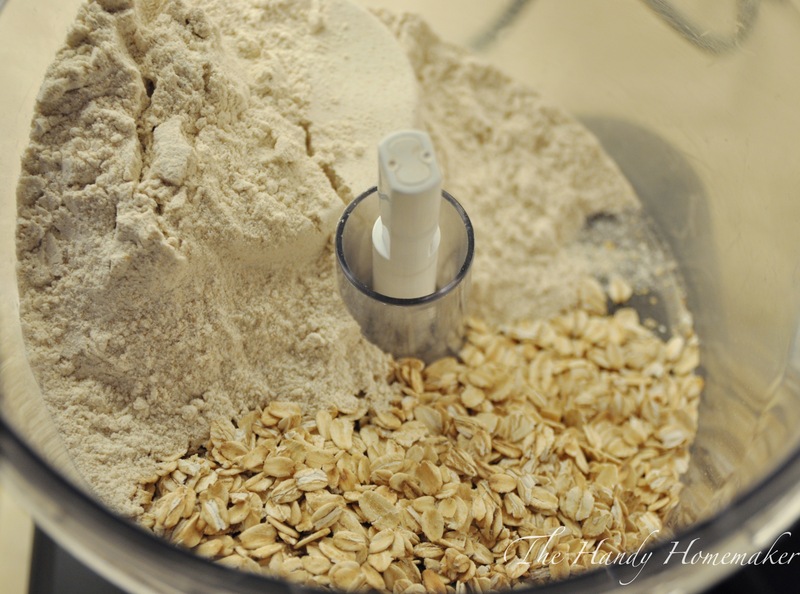 I adjust it constantly depending on what flours I have on hand. 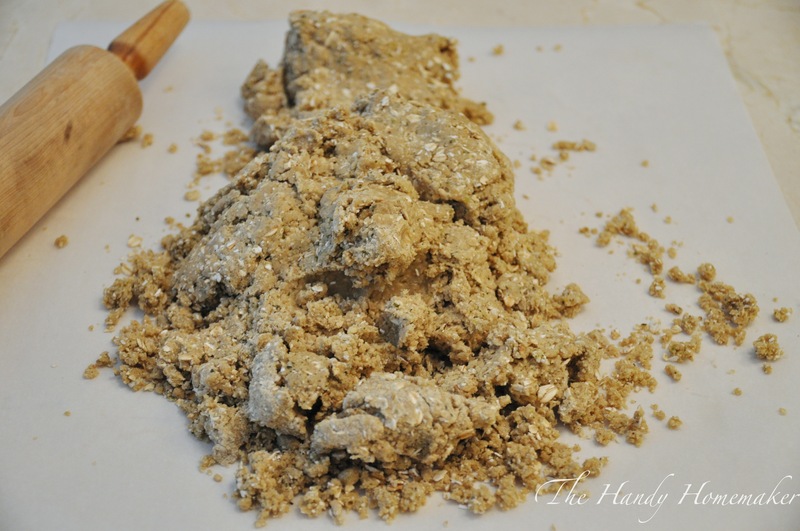 If I am out of tapioca flour, I use cornstarch.